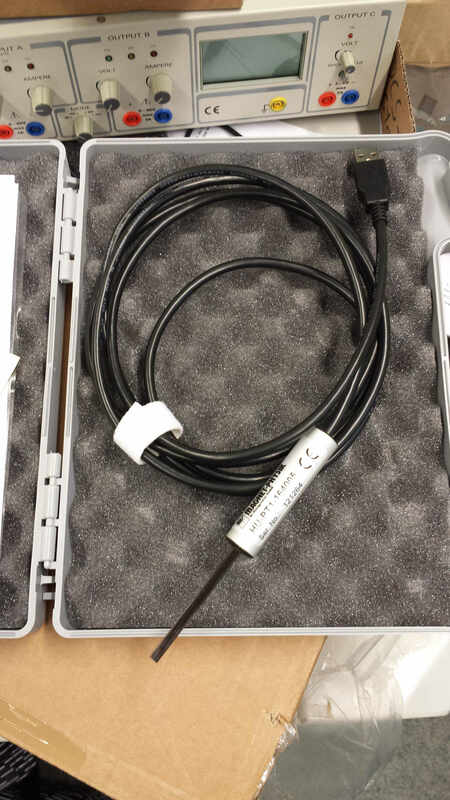 News from the ADCS team: We received our long-desired Hall probe! We want to express our gratitude to MAGNET-PHYSIK Dr. Steingroever GmbH for sponsoring us. 1. What is a Hall probe and what is its purpose? A Hall probe is an electronic device that provides a readout of the magnetic field strength in gauss or tesla units. It features a very small conductor or semiconductor element at the tip of the probe, where a current is passed through. When the Hall probe is in presence of a magnetic field perpendicular to the probe, a force, called Lorentz-Force, is exerted onto the moving electrons which pushes them to one side of the conductor. 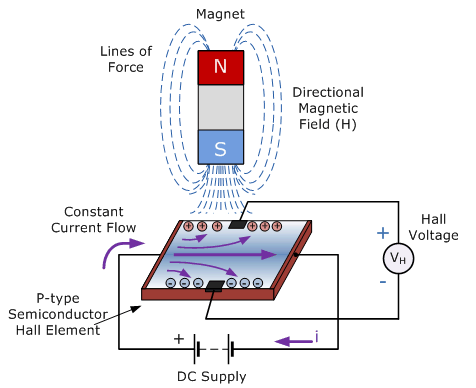 A buildup of charge at the sides of the conductors will balance this magnetic influence producing a measurable voltage between the two sides of the conductor which can be related to the external field. 2. What kind of a Hall probe has been sponsored? MAGNET-PHYSIK Dr. Steingroever GmbH sponsored us a professional version of the transversal USB-Device HU-PT1-164005, which can be plugged into a PC easily to read out the data directly. Also an easy-to-use software has been provided to record and to display the data. In general there are two kinds of Hall probes available: transversal and axial probes. It is very important that the sensing element of the device is placed correctly. 3. What do we need this device for? This is the most important question. As you remember our previous reports the working principle of our attitude control system is based on magnetorquers, our coils. We can control the satellite only in the presence of a magnetic field. The magnetorquer will produce a magnetic dipole moment when a current is sent through the coils. An important task is to validate the theoretical models used for the design calculations. Thus, we can guarantee proper functioning of our coil prototypes. 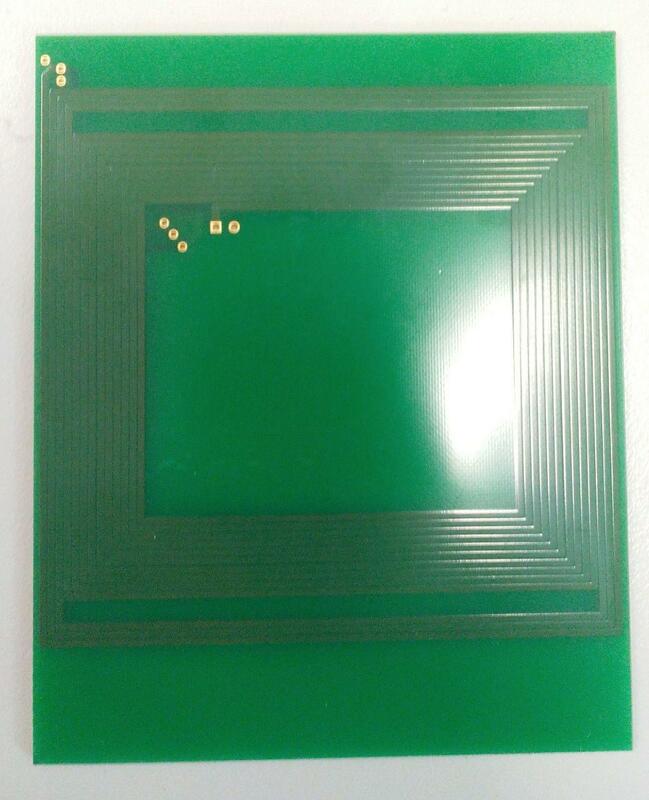 Our coils are integrated in Printed Circuit Boards (PCB) as can be seen in figure 3. In the near future we want to test our ADCS. So we need a test facility to test our attitude control algorithms. 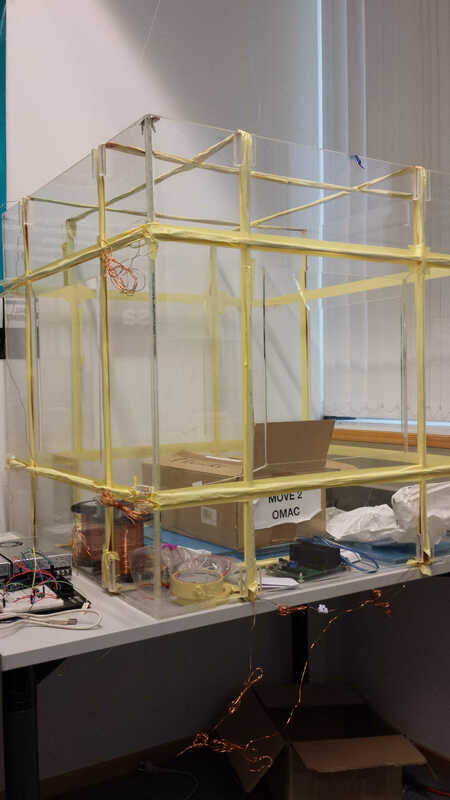 Therefore, a so-called Helmholtz-Cage has been developed to produce an external magnetic field being several times higher than the Earth’s magnetic field. The cage has already been designed and manufactured. However, the performance of the cage has to be validated and it has to be guaranteed that the produced magnetic field is as expected. Thus, the field will be measured by our new Hall probe and will be compared to our design calculations. You see it is important to have the right equipment. Without the proper ground support devices we are not able to verify and to test our system.